The Dell XPS 13 builds on the good work done by last year's Dell XPS 15z and Dell XPS 14z slimline laptops and is the maker's very first foray into the rapidly blooming ultrabook market. The compact XPS 13 sports a 13.3-inch screen in a razor thin 12-inch chassis, measuring just 18mm at the thickest point and weighing in at 1.4kg. Along with edge-to edge Gorilla Glass for extra durability, the screen also offers a 720p HD resolution of 1366x768 pixels. Thanks to Intel Rapid Start Technology, the device boots up in seconds while the inclusion of Intel Smart Connect Technology keeps your content constantly updated. It does this by periodically waking up, connecting to an available network and refreshing your email and calendars so that you don't have to wait for them to update when you power up the laptop for use. As you'd expect, there's no optical drive, but connections include USB 2.0 and 3.0 ports (one of each) and HDMI. There's also a backlit keyboard, and buttonless glass touchpad. The XPS 13 will be available with a choice of Intel Core i3, i5 or i7 processors (although you'll have to wait until later in the year for the i3 option) along with Intel HD3000 graphics. 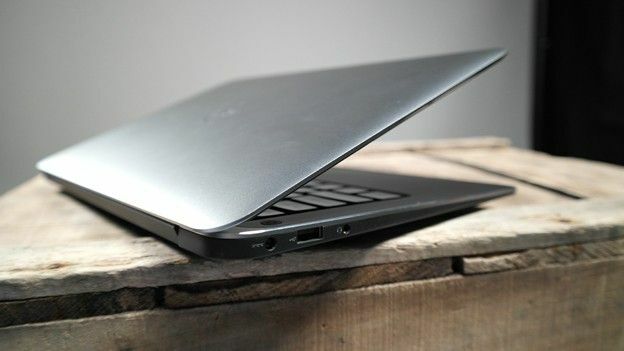 The XPS 13 also features a 1.3MP web cam with dual microphones, and there'll be a choice of 128 or 256GB SSD drives. According to the maker, the Dell XPS 13 features an eight-hour battery life. The Dell XPS is due to launch in mid-March 2012 and though the price tag has yet to be confirmed, estimates suggest that it will be around £899.